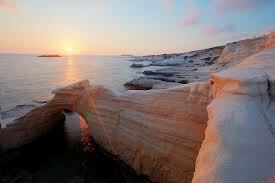 Sea Caves is in the Peyia region on the rugged coastline north of Coral Bay. Paphos town centre is about 15km away. Sea caves stretches along the sea front for about 12km west from Kato Paphos to the small fishing harbour of Agios Georgios, which sits in a breakwater in front of a small island, and was formerly the important settlement of 'Drepanum' in Roman times. It is now primarily known for its small, quiet shingle beach, souvla and fish restaurants, and dramatic sunsets - from late spring to early winter, when the sun sets at this weste rly point, the horizon seems to explode for miles in rich and vibrant shades of amber and red. 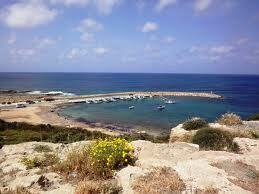 To the north, you can see the start of the totally unspoilt nature reserve of the Akamas peninsula. Along the coast road towards Agios Georgios you will find a number of tavernas and coffee shops. Sea Caves is about a 5 minute drive to Peyia village square with all of its amenities and shops, along with Phillipos supermarket. 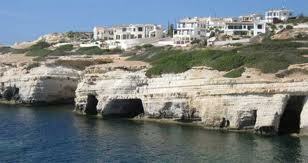 Sea Caves is a very beautiful area of Paphos with many secluded coves and locations. It is a sought after area for those looking for peace and quiet. This is a very popular area for long term rentals with many exclusive villas. Also in Seacaves is the ever popular bird and animal park with over one million sq.m, in a natural setting, beautifully landscaped gardens with lakes and ponds.. It houses one of the largest private collection of birds in the world. You will also find ponies, giraffes, monkies and tortoises.. There are also regular owl and parrot shows in the amphitheatre.